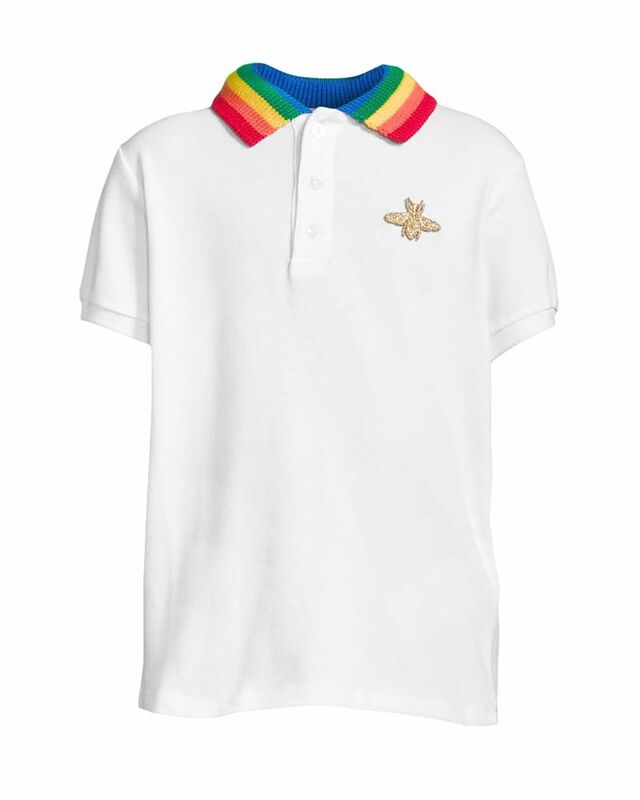 Gucci soft stretched white short sleeve polo with rainbow collar and gold bee crest. 100% Cotton. Made in Italy.